Come by Island Mazda to experience the innovative 2017 Mazda CX-5 Touring near Staten Island, NY. A connection from the very first touch — passed from the hands of the craftsmen who created it. This is the philosophy behind Mazda’s human-centric design for crafting the interior of the 2017 Mazda CX-5 crossover. Thoughtfully selected textures and finishes. Perfect positioning of door handles and controls. An expansive and intuitive space designed equally for driving enjoyment and rejuvenation. For both its driver and passengers. The Mazda CX-5 provides your guests with ample entrance and exit room, available heated rear seats, rear air conditioning vents, and USB ports in the front and rear center armrests that keep everyone comfortable and connected. And on longer drives, the rear seats recline for added comfort. The newly available Power Liftgate opens and closes at your command with either the available Mazda Advanced Keyless Entry button, or a button located inside the driver’s cabin. Plus, a standard easy-release 40/20/40 split fold-down rear seatback lets you customize seating for five, or accommodates up to 59.6 cubic feet of cargo space. The 2017 Mazda CX-5 Touring is filled with technologies made to keep you safe and connected. Weather and road conditions can change in an instant. That’s why available i-ACTIV AWD predicts when all-wheel drive might be needed, monitoring everything from outside temperature to throttle input and braking patterns. It then preemptively optimizes torque distribution to help curb traction loss. You may never even notice the change. Which is exactly what Mazda intended. With the available intuitive Active Driving Display, vital information such as vehicle status, current speed, and route guidance is projected onto the windshield. Pertinent data is positioned in your line of sight and allows you to better adjust your focus—ultimately minimizing distractions while driving. Based on front camera identification in conjunction with navigation data, Traffic Sign Recognition recognizes and displays traffic signs such as Stop, Speed Limit and Do Not Enter. Alerts are easily viewable at driver’s eye level in the Active Driving Display. Available Mazda Radar Cruise Control with Stop & Go function works within a set speed range to help maintain a safe following distance from the car ahead, alerting you when it senses your vehicle fast approaching. If the vehicle ahead stops, your vehicle will automatically stop and hold in a standing start until you resume driving. An alert function lets you know when the car ahead has pulled away. 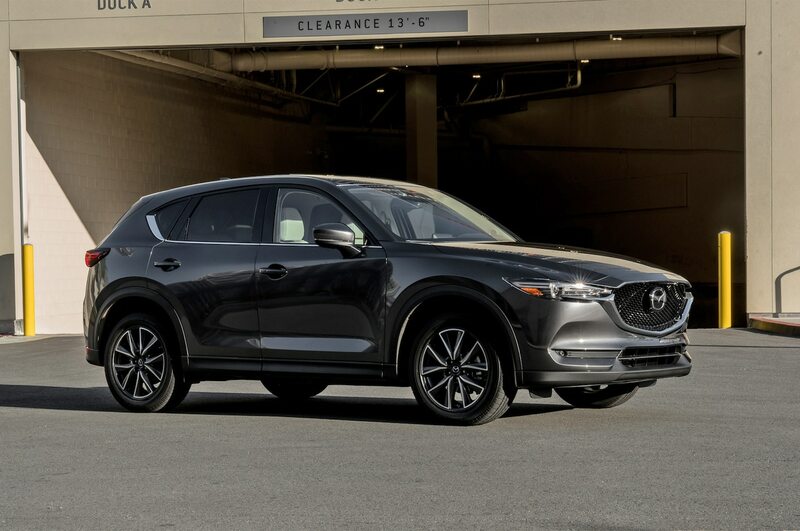 Stop by Island Mazda near Staten Island, NJ to test drive the all new 2017 Mazda CX-5 Touring. You can also browse our online inventory of CX-5’s here. We look forward to doing business with you!